The marriage took place at Holy Trinity Cathedral, Guildford, on Saturday, of Mr. Charles H. Kippin, of Beddington, and Miss Jessie Melville, younger daughter of Mr. and Mrs. W. R. Melville, of Guildford. The bride was given in marriage by her father, and the bridesmaid was Miss Millicent Melville (sister of the bride). Mr. E. G. Talbot, a member of Beddington tower, was best man, and the Rev. H. D. Pilcher officiated at the ceremony. Mr. Kippin is the popular hon. secretary of the Surrey Association, and leader at Beddington tower, where his bride has also been one of the Sunday service band. The members of St. Mary's company gave the happy couple a canteen of silver-plated cutlery, which was handed to Mr. Kippin by the Rev. Whitcombe (in the unavoidable absence of the Rector) at the usual practice meeting on Thursday of last week. A large number of ringing friends attended, among them members of the committee of the Surrey Association. On behalf of the association Mr. F. E. Darby presented Mr. Kippin with a handsome dinner gong in the shape of a bell. This was of 5in. diameter, fitted with headstock and gudgeons. It is carried on two wrought-iron scroll brackets, mounted on an oval oak base, the oak being between 150 and 200 years old. The bell was suitably inscribed. It was cast and mounted by Messrs. Mears and Stainbank. Mr. and Mrs. Kippin, who are spending their honeymoon in the Isle of Wight, were the recipients of many other presents and numerous messages of congratulation. Among conductors who have done something to break away from the beaten track has been Mr. Charles H. Kippin, of Beddington. Under his leadership the band at that Surrey tower have set up new standards in Surprise Royal ringing and have done a good deal to show its practicability. London Surprise Royal has several times been rung, and Mr. Kippin and his band were the first to ring Bristol Royal and four Surprise Royal methods spliced into one peal. Mr. Kippin is a native of Beddington, where he was born on August 31st, 1905. He began ringing in April, 1920, and rang his first peal on November 5th in the following year at Beddington. He has taken part in a number of noteworthy performances at this tower, practically all of which he conducted. Among them have been a peal of Grandsire Caters by a band all under 21 years of age, the youngest band to ring a ten-bell peal. That was in October, 1924. In 1932 the first peals of Londonthorpe and Beddington Surprise Major were rung at Beddington, and then followed the development of Surprise Royal. Numerous peals of London Surprise have been rung, as well as, of course, of Cambridge. The first of Bristol Surprise Royal was accomplished in February, 1934, and the first of Superlative Royal for the Surrey Association in September, 1935. This was followed in January, 1936, with the first peal of Spliced London, Bristol, Cambridge and Superlative Surprise Royal. Mr. Kippin has called a number of peals for the first time for the Surrey Association, including the first twelve-bell peal, which was Grandsire Cinques at St. Mary-le-Bow, Cheapside, in December, 1924, and the first Spliced Surprise peal, rung in four methods, at Godstone. In addition he called the longest peal by the association, a 10,400 Double Norwich Major at Christ Church, Epsom, in April, 1926. Before was 21, Mr. Kippin rang Bow tenor (53 cwt.) to a peal of Kent Treble Bob Major, afterwards unfortunately found to be false, and Southwark Cathedral tenor (50 cwt.) to Stedman Cinques. Altogether he has rung 325 peals, of which he has conducted 215. Ninety-three of his peals have been in Beddington tower. 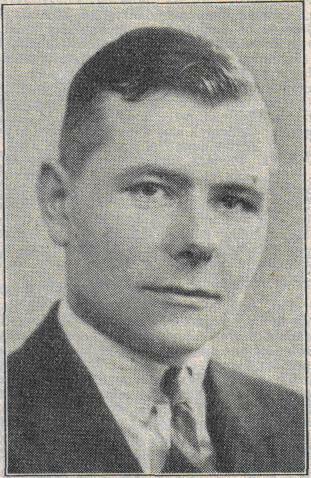 Mr. Kippin served the Surrey Association as hon. secretary for ten years from 1927 to 1937, and acted for the next year as assistant hon. secretary, while he has represented the association on the Central Council from 1929 to the present time. Mr. Kippin's father and his two sisters (Mrs. F. H. Housden and Miss Kippin) have been ringers at Beddington, although the former has not rung a peal since he rang the tenor to his son's first peal.